Morrissey is the latest celebrity to throw his clout behind a campaign to end the killing of Canadian brown bears for the British Royal Guards’ iconic headwear. The British singer-songwriter, a longtime vegetarian and animal-rights advocate, condemned Buckingham Palace’s vanity-driven “bear-baiting” in a letter to The Times on August 2, noting that in the “humanized world,” hats are not worth killing for. 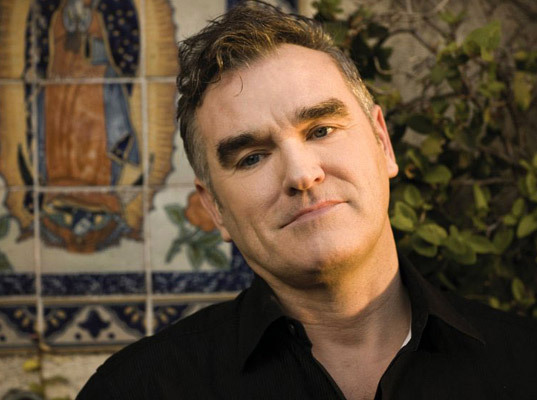 “The Guards wearing real fur reflects the human spirit at its lowest,” says Morrissey. McCartney herself has been lobbying for the adoption of a faux fur alternative for years, recently recruiting Toronto-born textile specialist Atom Cianfaran to devise a prototype using Tyvek, the stretchy, tear-resistant textile used in the building industry. Cheaper than real bearskin, markedly lighter, and equally water-repellent, the cruelty-free fiber may still face opposition from stalwarts bound to tradition. For critics like Morrissey, however, the donning of animal fur reflects ill upon Queen and country. “The Guards wearing real fur reflects the human spirit at its lowest,” he says. Sir, I welcome Ann Widdecombe’s views on the depravity of bear-baiting in order to serve the vanities of the British Army Guards (Opinion, July 30). In the humanised world, of course, hats are not worth killing for. Yes, animal rights move different people differently, and there are even those who think that animals simply have no right to be, but there is no sanity in making life difficult on purpose for the Canadian brown bear, especially for Guards hats that look absurd in the first place, and which can easily be replaced by faux versions (thanks to the visionary Stella McCartney) with no death involved. It is difficult not to look to the Queen herself—after all, they are her Guards, and she must surely be aware of the horrific process utilised to supply real bearskins for her Guards. 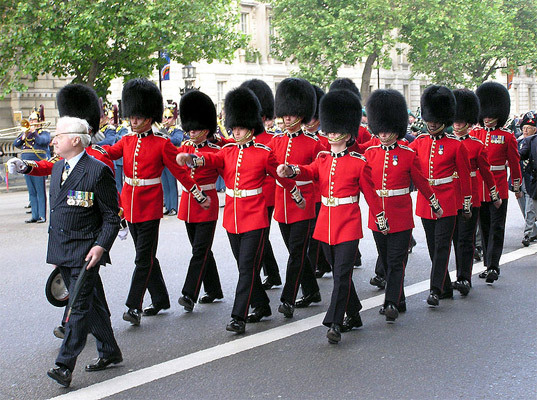 The mere sight of each bearskin hat must surely jab at the Queen’s heart. The brain speculates, but the heart knows, and there is no clever distinction in trapping and skinning bears for petty considerations based on vanity. Concern for all beings—human or animal—is a kindness and a goodness that springs from somewhere much deeper than Royal duty, and like it or not, the Guards wearing real fur reflects the human spirit at its lowest. Morrissey is the latest celebrity to throw his clout behind a campaign to end the killing of Canadian brown bears for the British Royal Guards' iconic headwear. The British singer-songwriter, a longtime vegetarian and animal-rights advocate, condemned Buckingham Palace's vanity-driven "bear-baiting" in a letter to The Times on August 2, noting that in the "humanized world," hats are not worth killing for.